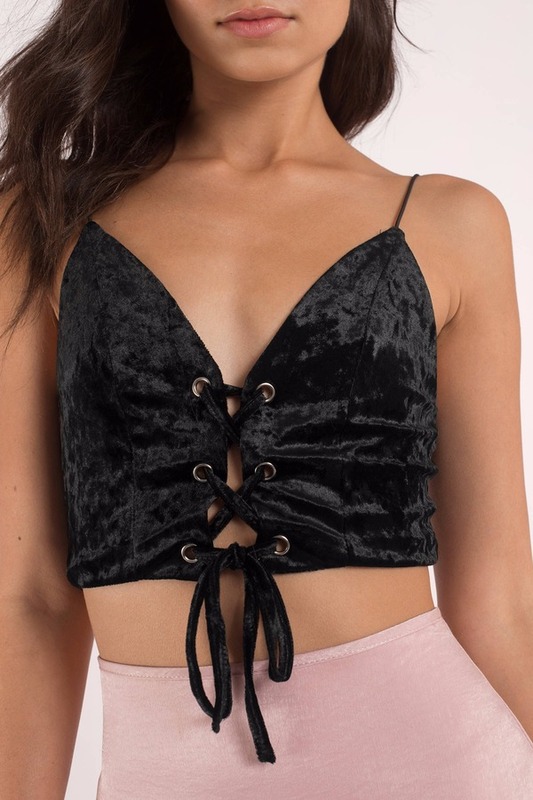 Check out Tobi's Crush Hour Velvet Crop Top Velvet is our new season crush, and the Black Crush Hour Velvet Crop Top is a cute top to get the look. With delicate spaghetti straps and a sweetheart neckline, the velour crop top has a lace up front with tie detail. Pair this crushed velvet tank top with a mini skirt on your next night out. 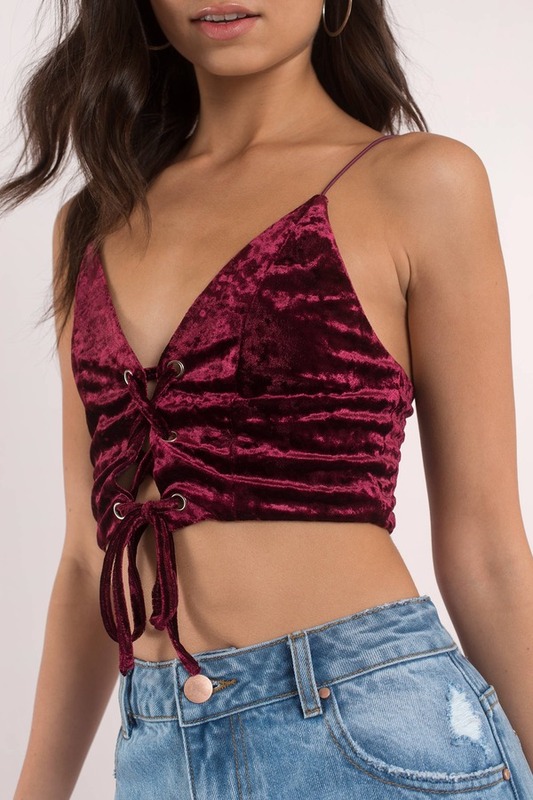 Velvet is our new season crush, and the Wine Crush Hour Velvet Crop Top is a cute top to get the look. With delicate spaghetti straps and a sweetheart neckline, the velour crop top has a lace up front with tie detail. Pair this crushed velvet tank top with a mini skirt on your next night out. Velvet is our new season crush, and the Black Crush Hour Velvet Crop Top is a cute top to get the look. With delicate spaghetti straps and a sweetheart neckline, the velour crop top has a lace up front with tie detail. Pair this crushed velvet tank top with a mini skirt on your next night out.